Runs quietly on its lowest and highest speeds. Automatically adjusts the air filtration speed according to the room’s current air quality. Sleep mode detects the dark to automatically reduce its fan speed so it runs much quieter. This portable room air purifier from AIRMEGA is primarily filter-based and and 3 speeds. It’s designed for floor or tabletop use in a large room up to 1,560 sq. ft..
Appreciates the added benefits of latest today’s technologies. Needs relief from common allergens. Would like to reduce household odors. AIRMEGA 400 Smarter Air Purifier represent the latest in air purification today. Offering many Smart Mode features such as shutting down when your air quality remains good for 10 minutes or more to conserve energy, or Airmega’s light sensor that detects when it’s dark and automatically reduces its fan speed to run much quieter while you sleep. In addition, the optional WiFi connectivity allows you the ability to monitor the air quality inside your home, see the status of the filters, schedule the timer, and even receive real-time outdoor air quality updates. On top of these modern day features, Airmega hasn’t forgotten the most important feature, clean air. 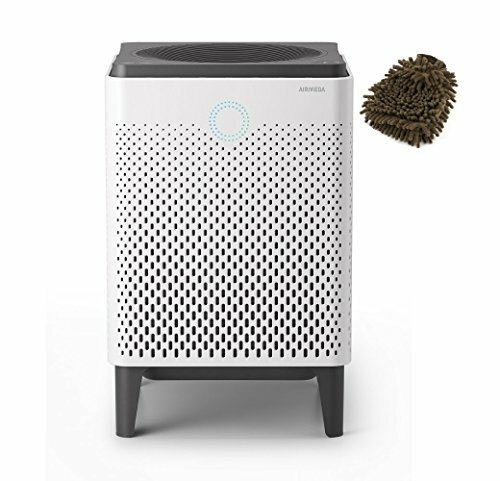 With its dual suction capability and advanced filters, the AIRMEGA 400 Smarter Air Purifier model can clean rooms up to 1560 square feet in size, removing up to 99.97% of air pollutants as small as one micron in size. Airmega by Coway offers the best of both worlds, smart convenience and powerful performance. The 400 series air purifiers offer the most air purifying capacity for larger spaces up to 1560s square feet. Compact, efficient and powerful these HEPA air purifiers feature Smart Mode (Auto, Sleep, Eco) technology and real-time air quality monitoring as well as the option of convenient WiFi connectivity. Coway’s new line of Airmega air purifiers represent the latest in air purification today. Offering many Smart Mode features such as shutting down when your air quality remains good for 10 minutes or more to conserve energy, or Airmega’s light sensor that detects when it’s dark and automatically reduces its fan speed to run much quieter while you sleep. In addition, the optional WiFi connectivity allows you the ability to monitor the air quality inside your home, see the status of the filters, schedule the timer, and even receive real-time outdoor air quality updates. On top of these modern day features, Airmega hasn’t forgotten the most important feature, clean air. With its dual suction capability and advanced filters, the Airmega 400 model can clean rooms up to 1560 square feet in size, removing up to 99.97% of air pollutants as small as .3 micron in size. Airmega by Coway offers the best of both worlds, smart convenience and powerful performance. 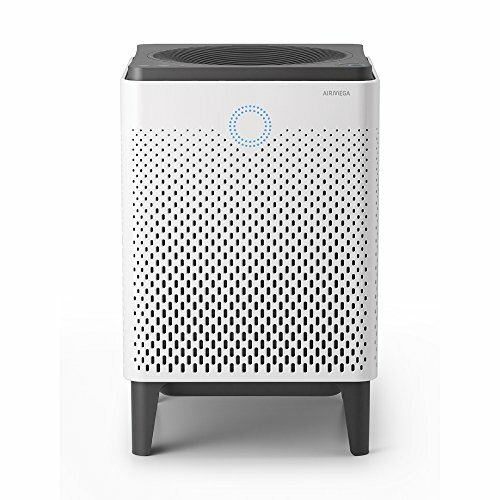 Overall score for the AIRMEGA 400 Smarter Air Purifier is mainly how well the model removed dust and smoke from a test chamber, plus quietness for room purifiers and airflow resistance for whole-house units. The most advanced air purifier developed by Coway. Air mega is a connected air purifier, that intelligently, effectively and quietly cleans the air in your home. Its dual-filtration system removes 99.97 percent of particulate matter from the air, while the accompanying pollution indicator allows you to monitor and manage air quality real-time. The best air purifier!! It is not only the most powerful air cleaner but also the most beautiful looking product. It is also connected with a smartphone and has many useful functions I can use. I’m much happier with Airmega than my previous iq air.